What MGTOW offers you as a man, is it important and do you need to know this information are questions every man need to ask themselves. 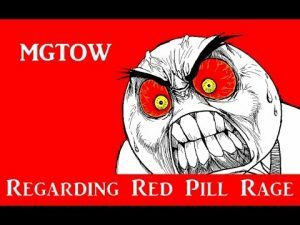 If you are ever asked why you are MGTOW, you should ask, what is MGTOW? Not because you don’t know or want to hide and seem stupid, but because you want to know what the interlocutor understands MGTOW to be and what question is being asked. MGTOW Only Offers One Thing! MGTOW offers a lot to men. 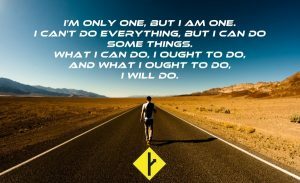 However, as the name implies, there is only one goal for an expert MGTOW, and that is to not only go on his own way, but to continue going on his own way. Why MGTOW resonates with so many men is because MGTOW is not something that we become, it is innate in every man. As a man, you have always gone on your own way. As a man, you have looked at reality from both an analytical and an emotional perspective. Depending on your age, you might have realized that society seems to be punishing men for being men. Whether it is in a reparations-type of penalty or from an ontological-type penalty, or both, men are being punished. What does society feel the worth of a man is? 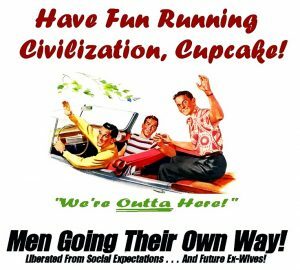 What has society dictated are the responsibilities of men? What is behind this movement or social order? The answers to these are not known by most, nor do many care. However, what many men do feel is this nagging itch that make them most accountable in society. Accountable to the point where some men logically decide on solutions that are, by their own intellectual prowess, not the best solution for the problem at hand, but after weighing the results, understands it to be a better solution for him to follow in his own life. Some of these solutions include not caring about your job as much as you once did, not being motivated to obtain promotions, not being motivated to earn more than you need, reducing what you need, isolating yourself, changing job environments, plus many more. Often anger is attached to these decisions especially if the man has not taken enough time to understand why he is thinking the way he does. 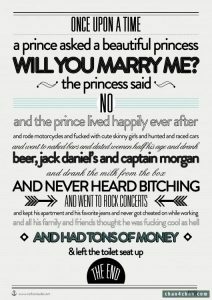 MGTOW offers a lot, however, most of the benefits are fleeting. MGTOW offers a space for you to be a man, to be angry, to relax and smell the coffee, to talk, discuss, rant, insult, and learn. MGTOW gives men peace of mind. 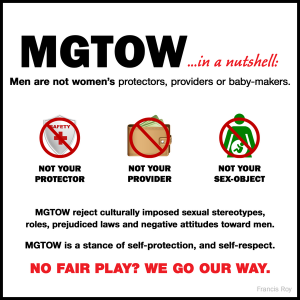 MGTOW offers a support community for men. MGTOW offers men an ear. MGTOW offers men eye candy. MGTOW offers you a club. 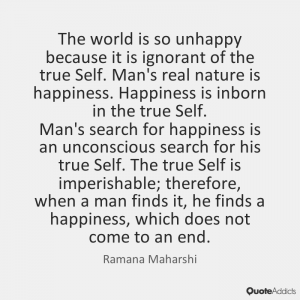 Nonetheless, as you embark on your MGTOW adventure, one thing is inevitable, all those benefits will be rejected and abandoned by you at some point. There is no space for men unless in your own castle, you can only relax and smell the coffee in your castle, you will learn to learn on your own and peace of mind will be found from within. You will not need a community, nor an ear, nor eye candy, nor a club. The only thing you will need is yourself. You will be on your own, as you have always been, as you will always be. One benefit will remain with you for the remainder of your life. Many state it like this, you can’t unsee something you’ve seen. That of which you will not be able to unsee is the ontology of women. The ontology of women consists in its simplest form as the study of the existence of women. However, it’s the metaphysical aspect of the ontology of women that you will benefit most from in your lifetime. This philosophy looks at the very nature of women, their being, cause, identity, essence, their very core. As you as a man begin to understand what’s under the hood, how and why it works, you begin to understand life differently. You see things differently. You see into the future and past more vividly. You begin to live in the moment better. As you begin to live for the moment, you see people from a different perspective. You begin to see common characteristics. You begin to see right and wrong, subjugation, marginalization and hatred. Additionally, you see into the future more confidently. You feel more confident about what is going to happen if you choose this or that. You see bad decisions where once you saw desire. MGTOW gives you freedom. MGTOW gives you freedom to be good or bad, right or wrong, rich or poor. MGTOW gives you back your power over yourself. 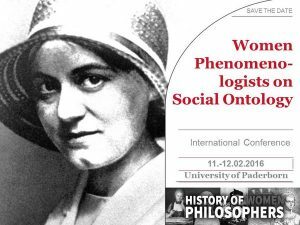 It is in this understanding of the ontology of women, men learn about the ontology of men. It is in understanding yourself, you can realize what you are to become. It is in going your own way, you become you again, free. 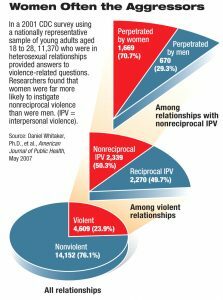 It is often stated that domestic violence is perpetrated on women by men. However, facts, which don’t care about your feelings, do not concur with this finding. In addition to this less than 1% of shelter spaces are for men. Why? What is equal about this? Who pays for this? In England, men paid close to 60 billion in taxes whereas women only paid 37 billion in taxes even though there are almost an equal amount of men and women employed. 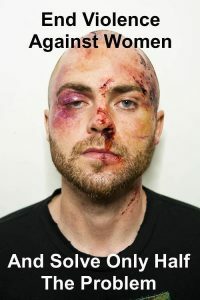 Domestic violence is OK if it is against a man. If you were to ask someone what makes a best friend, you will hear that best friends are trustworthy, honest, funny, encouraging, sympathetic. Best friends can finish our sentences. Best friends are generous. Best friends are fixed in place, staunch and steadfast. Best friends are important if not required for us as social creatures. However, it is important for you to be yourself. One can only be one’s self if one experiences time alone. Stating that you will die alone is not a threat or something to be feared. It is a fact. It is this fact itself that some fear. Whereas dying alone others fear. However, dying is a part of life. You cannot die if you do not live. Most are just plainly afraid of death. Those that in death fear, are in life afraid. These arrogant and/or ignorant people think they understand what death is about. They think they know something that cannot be known, arrogantly, wrongly. To be afraid of death is to be afraid of the unknown. Why are you afraid of death? Because you want to live? Because being alive is better than being dead? To whom and how do you know? 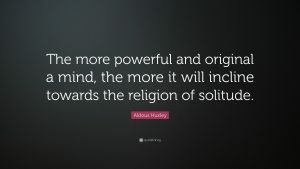 A state of solitude is not a sad state. For it is the stoic, isolated mountains, desolate shores and remote forests which we are attracted to, where one goes to find peace and tranquility. Why does a person’s own fear of being alone cause them to be uncomfortable with another person who has no problem with their own seclusion? Today’s relationships are mostly unrewarding and/or dangerous, for at least one of the participants in the relationship, if not more. 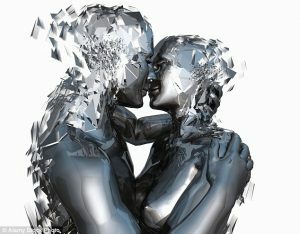 Today’s relationships are uncertain. 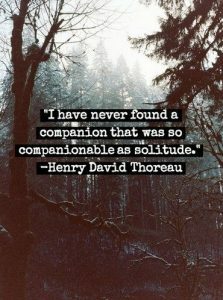 For those of us who have chosen solitude, others have a misconception of them as lonely. 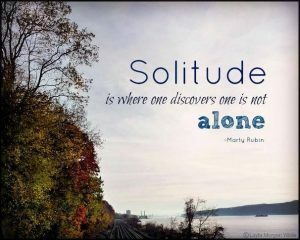 However, solitude garners self-awareness. 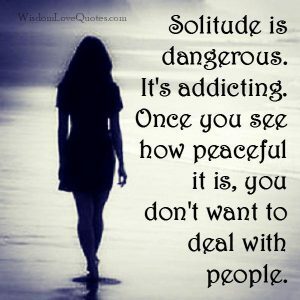 Those that have no solitude, lack in their potential for self-awareness. Therefore, this misconception is sewn far and wide. 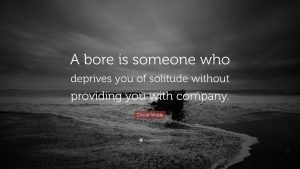 The difference between loneliness and solitude is that loneliness is directly or indirectly imposed upon one due to being rejected by people resulting in isolation. 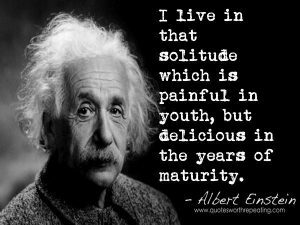 In contrast, solitude allows inward reflection and is usually self-imposed. Introspection allows a man to observe his essence, his core, his nature. If one does not take the time to observe their nature through introspection, then they become subject to losing their mind, their nature unknown to them. The man that enjoys his own company is strong, lacking the need of recognition and validation for achievements. 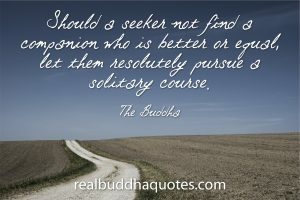 For the solitary man happiness, achievement and fulfillment is not reliant on other people. The man who can enjoy his own company, in solitude, is his own best friend. 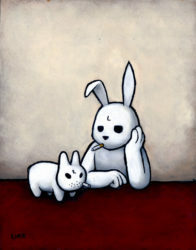 In solitude, no one tells you not to smoke or to smoke, when to smoke, what to smoke, how to smoke or where to smoke. No one tells you why or why not to smoke. Your actions, thoughts and behaviors are not dictated. 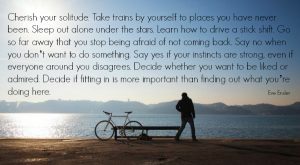 It is in solitude that you find freedom. In solitude, you heal, you restore your mind, you observe your nature. 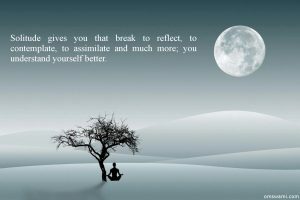 Contemplation and meditation requires peace, tranquility and time. It is exercise for the brain and the mind. It brings us to a truer understanding of reality. Society tries to influence us to think that being alone is not good. 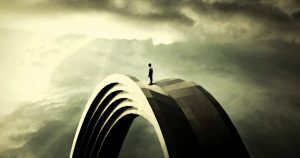 But, it is when a man is alone, he can be himself, fully, good or bad. 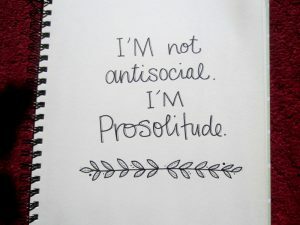 Being social creatures means we can’t isolate ourselves in solitude permanently, nor would one want to. If we did we would lose our grip. However, social interactions are not always beneficial for men as well. Most social interactions today are neither healthy nor beneficial between men and women. A balance is required. Not being able to be emotionally independent, that is being reliant on others emotionally, can contribute to failure when the need to be independent arises. You will need to be independent at some point, if not many points, in your life. Needing someone to rely on for encouragement or a sense of achievement might lead to self-destructive habits as a coping or an escape mechanism if no one is available. We all need someone to lean on at some point in our lives, particularly during desperate situations. However, we need to overcome dependency to be emotionally free. The more emotionally attached we are to something, the more importance we give it, needlessly. If you do not attend your own needs first, then your own needs will never be tended to. If your happiness is attached to something, then the removal of that something removes your happiness. If your happiness is constantly being removed from your life, then you lose interest in life and life can become less meaningful to you. It is important that you anchor your happiness to you. That you know yourself and that you tend your needs and desires. The best way to know yourself is to spend time alone. If you spend time alone, you will become friends with yourself. You will never be alone if you are your own best friend. Your internal voice should be the voice that fortifies where you should be, what you should do and who you should be with. Self-discovery can help you decide if your internal voice is negative or positive. When you are alone, you often revisit painful memories. But, if you have a chance to accept these painful memories, then you will not have to live with them and the painful emotions attached to them forever. 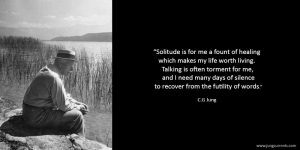 Facing them and experiencing solitude is how to gain acceptance. For it is the painful memories that mold who we are. They make us stronger, more aware of who we are. Pain is a great teacher if we accept it and move on. It is when we are alone, we can accept and be responsible for what happens to us. It is only in solitude that we can become our own best friend. 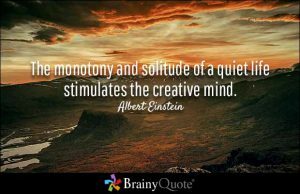 It is only in solitude that we can experience autonomy. It is only in solitude that we can love freedom. It is only in solitude that we are free. Many have heard women as well as men state that they would just like to see feminism disappear. Feminism is not just going to go away. Men can. Men can go their own way. The end of feminism will manifest once feminists become successful at dominating men, public policy and infiltrating every significant desirable societal metric with unreasonable statistics in favor of women. Then, and only then, will feminism prophetically rot away into its rightful place atop the stinking heap of everything bad history offers us for posterity. Men going their own way (MGTOW) need the men (simps; simpletons) who are blindly addicted to the smells, textures and warm fuzzy feelings female genitalia has to offer them. These inconsequential men have no self-esteem, are feminized and will gladly give away all their resources, including their rights to think about what they wish to think about, and even potential future resources for years and years to come. Women love simps as they do manginas. MGTOW should also embrace simps. MGTOW need to bait and confront, or infiltrate these men to promote and further feminism. It will be only when feminism has the power to do what it wishes will it proverbially shoot itself in their feet. This will come at huge costs for women, men, children and society in general. Ultimately, it will appear that society has collapsed, like when a monetary system collapses. However, as we know when a monetary system appears to collapse it is just ‘sick’ and needs a realignment or balancing to start afresh with hopes that the same mistakes are not repeated. Only when our governments become overburdened with social programs it cannot afford will feminism implode upon itself. Massive social programs which are designed for women cost lots of money. This alone will lead our economies to stagnate and decline. 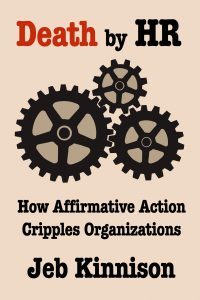 As women dominate human resource departments, occupy most executive positions, climb the corporate ladder faster and are higher qualified in greater numbers than men due to feminized universities, men will be more commonly marginalized quicker and easier. As most taxes are paid by men for programs used by women, happiness towards society for women will increase and for men, decrease. However, this attitude towards society of men has been and will be mostly ignored. 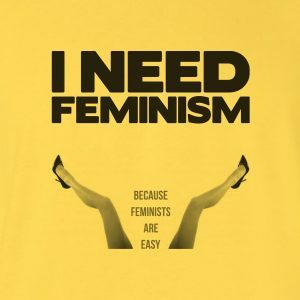 Expending energy against feminism is costly and time consuming, ultimately slowing down the progress of arriving at the inevitable feminist destination. This energy can be more efficiently utilized in promoting the feminist agenda to arrive at this destination quicker. Setting up hurdles for feminists will only slow this process down. 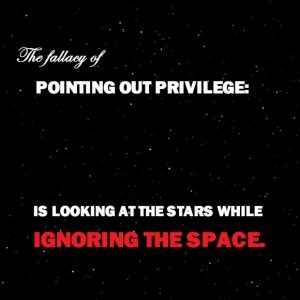 Attacking feminism will only force feminists to research, think, develop solutions, and be more rational and logical in their quest to obtain their goals, ultimately slowing the obvious resultant effects of feminism, slowing down the demise of feminism. 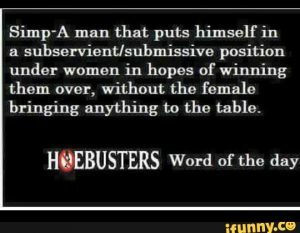 Currently laws are implemented that are outright sexist towards men. It is not difficult to read about cases where men are put in jail after being the victim of domestic abuse and calling 911. Many of these same men are then removed from the home through mandatory laws with mandatory mandates. Many are forced to continue paying for the home, the abusive partner and perhaps children of which they often cannot see. Further, there are no shelters for these men. Some are going to call BS, but seriously, over 99% of shelters are for women only, and they only employ women. Additionally, some of these women might become pregnant while being kept by some other simp and the victim will then be legally required to pay child support for children which are not his. Again, the energy to fight these injustices is immense with great costs to all involved. There is no quick solution. Any quick solution to these injustices will only be patch-work to hide the dirty underlining of a feminist dogma. These laws are unjust. They cannot be fixed. They cannot be justified. They cannot be just. 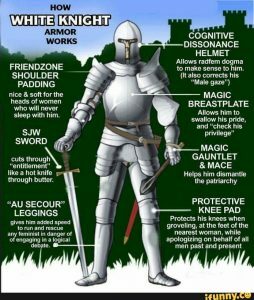 The solution for men not wanting to find themselves in these positions is simple; do not get married, do not live with a woman and protect your seed. Today’s man has become MGTOW. Men have always gone their own way. 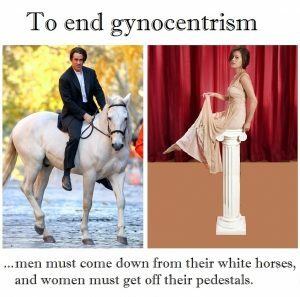 Today’s gynocentric direction that society is heading towards is disturbing to men. Men’s values and needs are muted. The deafening silence regarding men’s issues and the attitude towards them screams loudly, overbearingly in every man’s heart. There is a passive, aggressive movement driving men away from traditional roles they once had striven towards in society. Today, men appear happier just getting by at the office. 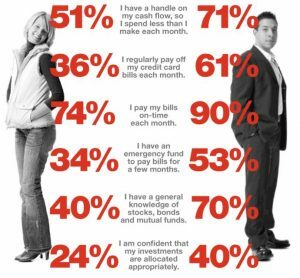 Today’s man is happy having more time for himself, having less money overall from a job, but more money overall for himself and his interests. 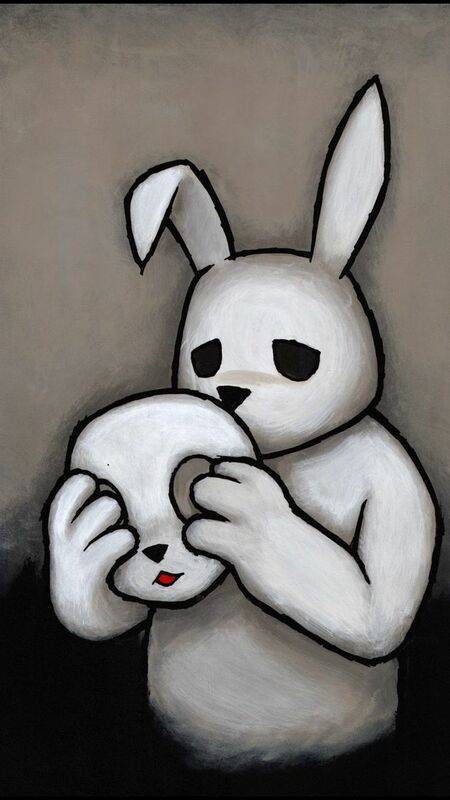 Many men have chosen to become silent, invisible, unnoticed out in plain sight. Today, many men are attracted to positions outdoors or as freelancers. Trade jobs have become visible to more men as they provide insulation from a gynocentric world, autonomy and decent pay with a future. Goals have begun to shift as we see men opting for more time in the garage or basement, fishing or hunting, writing or any hobby they enjoy. Along with a realignment of goals, greater degrees of happiness have been realized. Can it be that men have finally found peace in fulfilling their hedonistic, selfish desires? 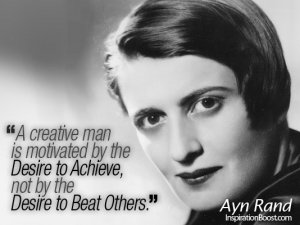 For a modern society to become successful it needs feminism. 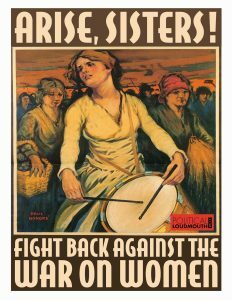 Promoting and not protesting obvious feminist agendas is not only the right thing for MGTOW, but is favorable for any MGTOW agenda in realizing a quicker realigning of society so that we can get back to the business of living in this world and making it a better place for everyone. The real question will be, do we want to realign society and repatriate ourselves to it? Our success will be our eventual fall as we cycle through the leaves of change, the chapters of history. One thing is for sure, it’s going to be a rough ride. There seems to be a disdain in the MGTOW community towards simps. Simps are tools. Simps are resources. MGTOW needs to embrace simps and utilize them with intent. 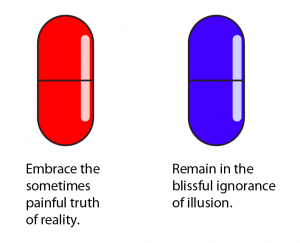 MGTOW needs to understand that they can’t unswallow a pill, or unsee something seen. After all, most of us have been simps at one time. There, but for the grace of feminists, go I. MGTOW needs to approach simps by dispising them, motivating them to help further the feminist movement or they need to supplant feminist ideology, again furthering the feminist ideology. Either way one chooses to use a simp, it needs to be done with intent.